Another poll points to a cliffhanger in the make-or-break Bennelong by-election. A Galaxy poll for the Daily Telegraph has John Alexander clinging on to a 51-49 lead ahead of tomorrow’s Bennelong by-election, after a poll at the beginning of the campaign had it at 50-50. On the primary vote, Alexander is down two to 40% and Kristina Keneally is down one to 38%, with the Greens on 8%, Australian Conservatives on 7% and Christian Democratic Party on 3%. The sample is only 524, but the result is in line with a similar poll conducted by the same company but badged as Newspoll for The Australian earlier in the week. No. Everyone is over at the Bennelong thread. All over red rover so they’ll probably start to drift back. Can always find time to listen to that. I used to devour books when I was younger but that didn’t cross my path. If I can haul my backside into a library I’ll check it out. A very worthwhile book to read. Zeh – had a chance to plug the Nuraphones into the headphone amp on the STX-II and give those tracks a listen. I’m not sure how to critique this particular genre of music, but I think in terms of pure bass response you wouldn’t be disappointed. The Nura headset unquestionably has more of that than the Crossfades, anyways. Sound is clear with smooth, clean bass notes even at low volume levels. The sound-stage is quite wide, with all the other sounds coming through clear and undistorted. When listening to Tenebris, the headphones really start thumping at around 30% volume, and by 50% they feel like they’re trying to jump off my head. When the volume hits 60% (or above), the bass starts to distort. On the Crossfades I need to be at 50% volume before the bass even really registers as bass. 75% is where I can feel the headphones starting to move, and 100% to really get them going (though by that point all the other sounds in the track are uncomfortably loud/sharp). With the Nuraphones at a comfortable listening level (~40% volume, for me), “infinite darkness” is a fairly visceral event. With the Crossfades at a comfortable level, it’s more of a “why did the guy just say ‘infinite darkness’, was something supposed to happen?” kind of thing. Similar story with Just A Creature, though with more usable volume. With that track the bass really starts going at around 40%, produces “headphones trying to jump off my head” around 60%, and doesn’t distort until I start pushing the volume past about 75%. I really have to crank the Crossfades to get much bass out of this track (probably minimum level for really hearing any bass starts around 75%), pretty much running them at or near max volume (which is still quite uncomfortable, for the same reason). The Nuraphones also leak far, far less sound into the room under all scenarios. It’s impressive, really, how quiet (and non-jumpy) they are if you hold them in your hands and crank the volume. I’m actually a fan of the Bowers and Wilkins headphones. I have a pair of the P5s and I’m interested in getting a Px. Katharine Murphy says that Turnbull savours Bennelong moment, but there’s little room for hubris. Is the big story from Bennelong the drop in the Greens vote? 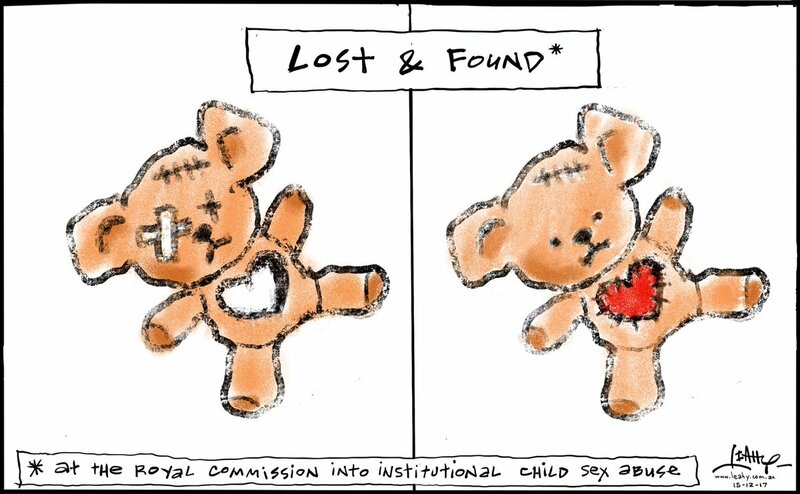 The Vatican has released a statement saying that the final report from the child abuse royal commission “deserves to be studied seriously.” Doesn’t sound too supportive to me. Paul Bongiorno writes about the political missteps over China. Jess Irvine looks back at the year that was. Jonathan Freedland writes that while we’re looking the other way, Trump is changing America for decades to come. Adele Ferguson bemoans the paucity of penalty for white collar crime. Jay Weatherill says the spectre of a royal commission into River Murray water theft is already forcing changes. Google. The Saturday Paper has an excellent editorial on the Royal Commission. Decentralising the public service is a costly and ineffective way to grow regional wealth that risks damaging the performance of government agencies, the Productivity Commission has warned. In a good article on the buying of political influence Michael Pascoe takes aim at a couple of our favourites – Gina Rhinehart and Rupert Murdoch. 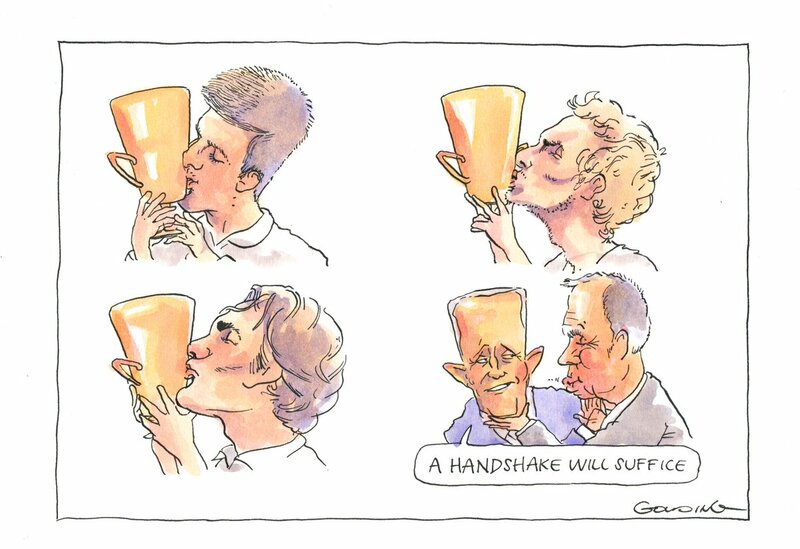 Ross Gittins gives us a lot of food for thought in this article on the theory of competition. Austria has become the only western European state with a far-right presence in government after its president approved a controversial coalition deal. Announcing strident critic of charities Gary Johns to head the Australian Charities and Not-for-Profits Commission betrays a questionable selection process and a campaign to nobble the sector. Half of all race-related opinion pieces in the Australian mainstream media are likely to contravene industry codes of conduct on racism. And surprise, surprise! The study found that negative race-related reports were most commonly published in News Corp publications. Nicole Hasham says that according to Frydenberg the controversial Abbott-era fund that uses public money to pay companies to reduce their pollution will survive the federal government’s review of Australia’s climate policies. Karen Middleton reveals that as Adani draws public ire over its Abbot Point rail line, Gina Rinehart awaits the benefits of another NAIF deal to open up the Galilee. Are we headed for a big stoush on Melbourne’s waterfront and beyond? 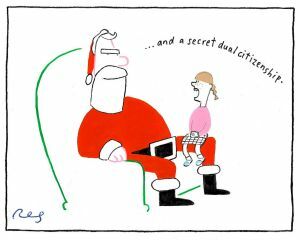 Peter FitzSimons’ last column for the year. Can the concept of behavioural economics be extended to the prevention of war? The SMH editorial gives water safety a plug. Bridget McKenzie charged taxpayers thousands of dollars to attend an awards night for shooting in Sydney, claiming the trip as “electorate business” even though she was a Victorian backbencher. Some of these people have no shame! A Christmas wish courtesy of Reg Lynch. Matt Golding outside Parliament House. And Golding on Bennelong celebrations. Glen Le Lievre on the likely response to the CA Royal Commission from certain bodies. 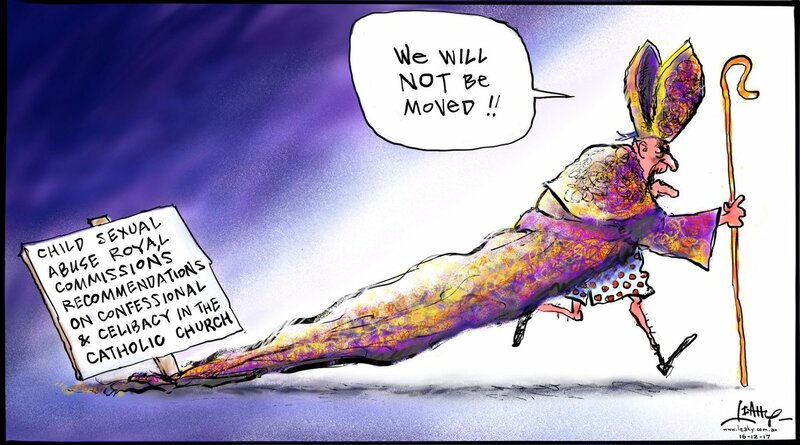 Mark Knight with Peter McClellan’s final flourish. Sean Leahy also has a dip at the findings of the Royal Commission. And he sums up the way the Royal Commission has done some emotional good for the victims. 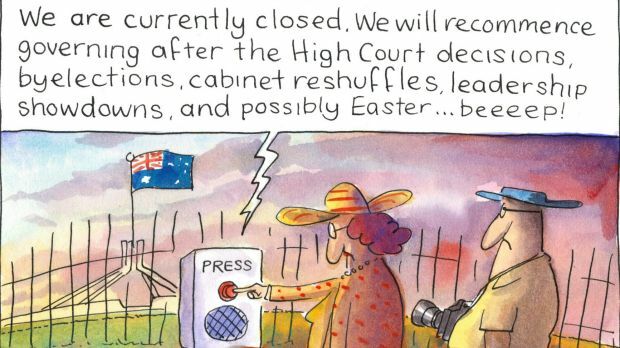 I sincerely hope David Pope is wrong about this. 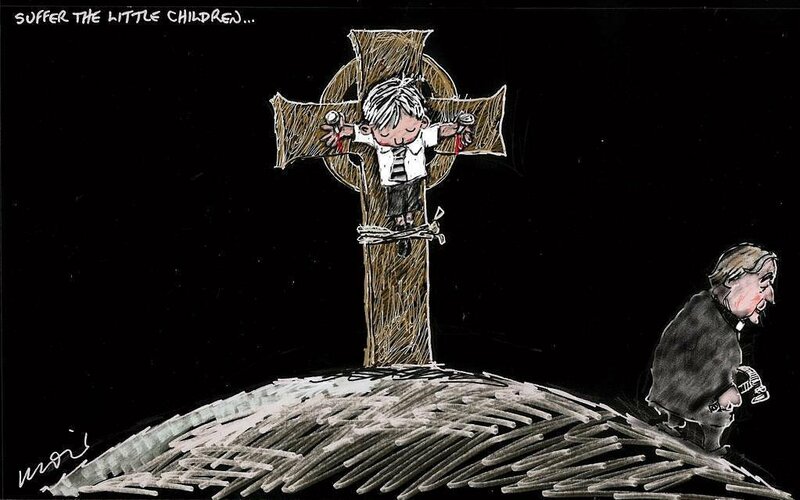 One of Alan Moir’s best. 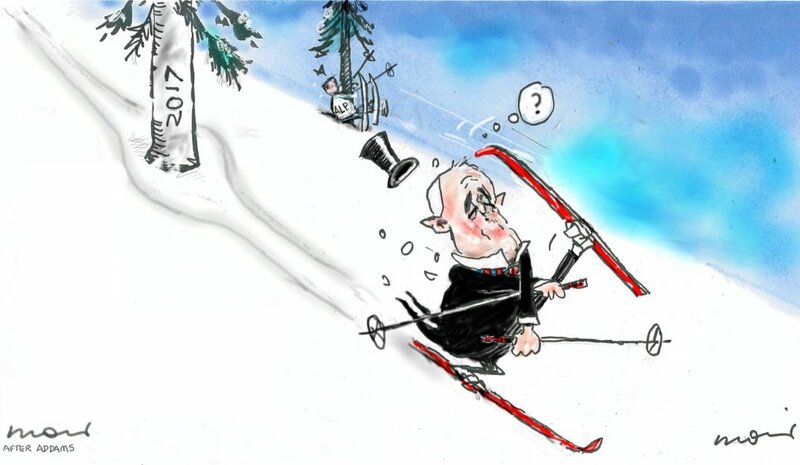 Moir’s view of Turnbull’s 2017. 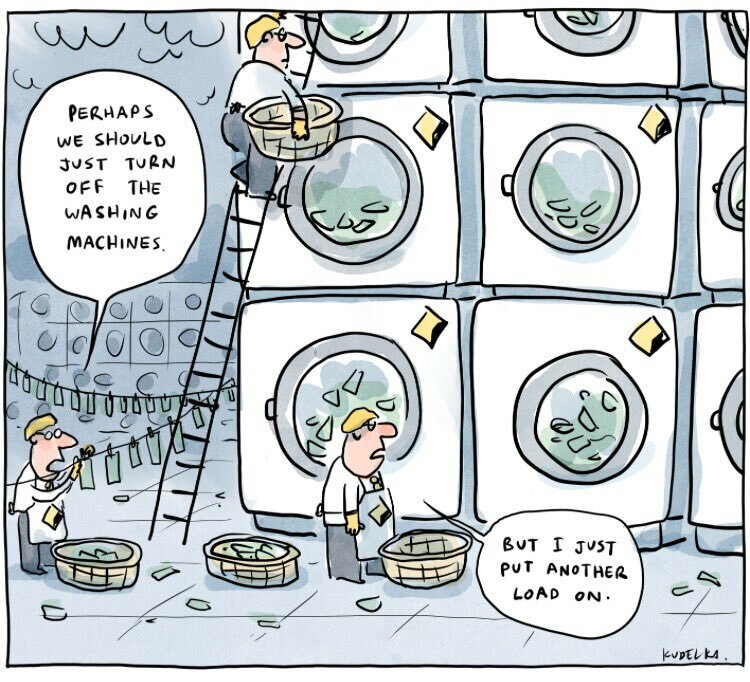 Jon Kudelka inside the CBA money laundry. 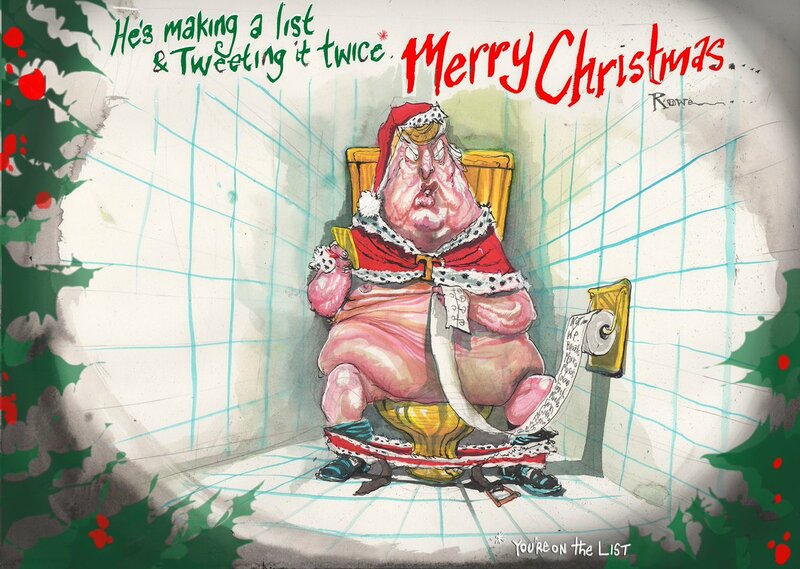 And it’s goodbye to David Rowe until the new year. At some point during his investigation, Mueller asked the Trump transition team to turn over all of its emails. The team responded by only turning over a fraction of them, while arbitrarily claiming that the rest of them (read: the incriminating ones) were somehow privileged. Now it turns out that Mueller has secretly had all of the transition emails all along, because he got them all from the General Services Administration back at the start of his probe, according to a new Axios report .So what does this mean? In short, it means Mueller has had the entire Trump transition team nailed all along. In turn, that means Mueller hasn’t been interviewing these people to try to get information from them. He’s been interviewing them so he can catch them lying, which is a crime. Based on this new information it’s possible, perhaps even likely, that Mueller has already cut plea deals with members of the transition team. The two targets they’d be giving up: Mike Pence, who ran the transition team, and Donald Trump, the real target of the investigation. The way Tea Pain sees it, there are 7 days until the Treason clock strikes midnight. Everyday brings us closer to the final battle for our democracy. We must support Bob Meuller 100% and be prepared to march. Godspeed, Patriots! Looks like we’re fixin’ to find out that Jared Kushner has been a naughty, naughty boy. Tea Pain would call him a skinny little weasel, but even weasels have redeemin’ qualities. Mueller has Trump dead-to-rights, but Trump’s proven to be a sore winner. When he realizes he’s lost, he won’t hesitate to take down America with him. This will be one of the greatest tests of our faith and principles.